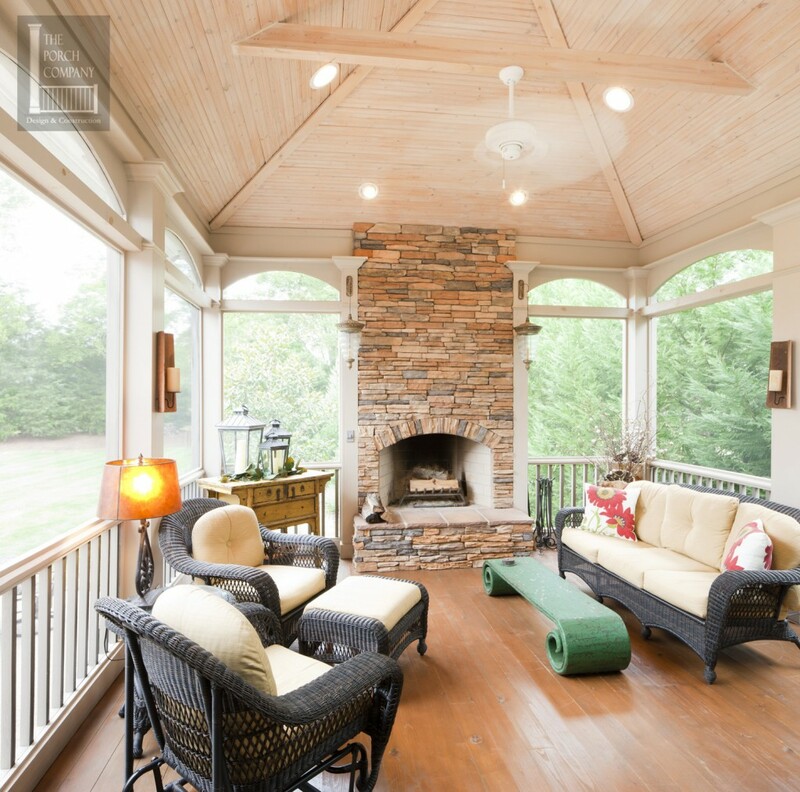 If you’re thinking seriously about adding a porch to your Nashville-area home, you may be looking through magazines and browsing through furniture stores for ideas. 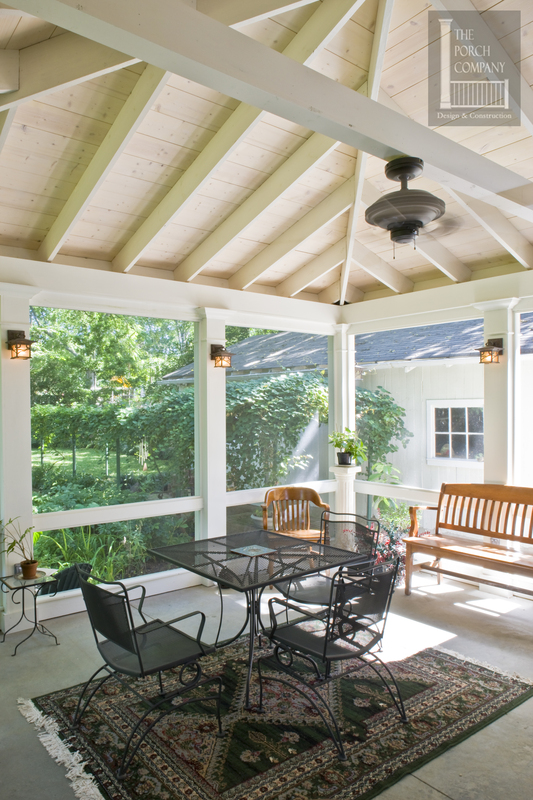 There are so many components of a screened porch and so many options on colors, styles and materials. To help you in your planning and research, we wanted to provide a photo gallery of different options is porch floors. 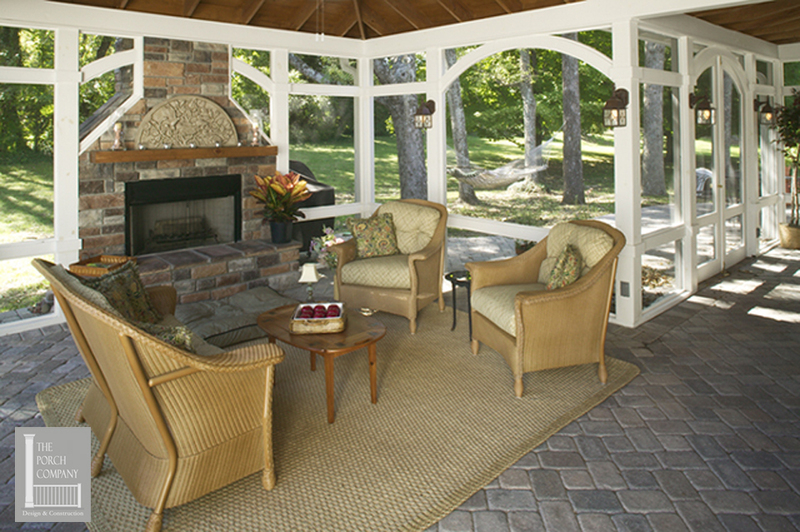 Here are 14 porches we’ve built showing a variety of different flooring options and colors. 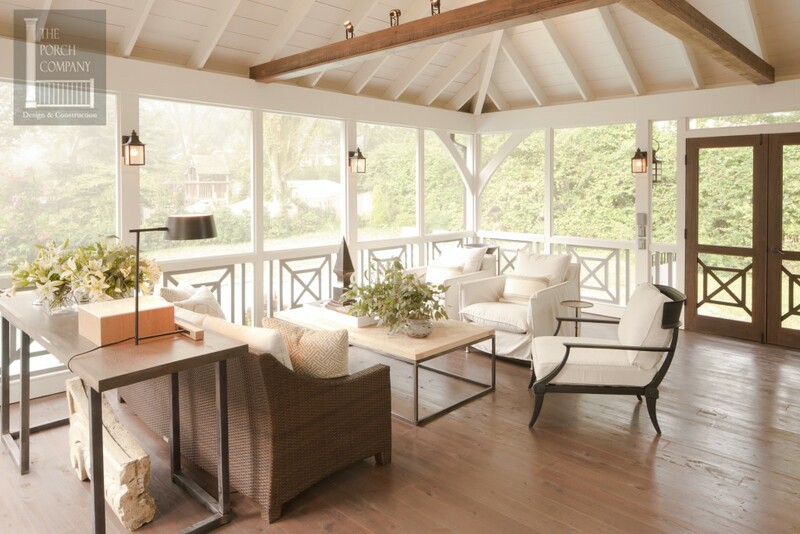 One important thing to know about screened porch floors is they will get wet. 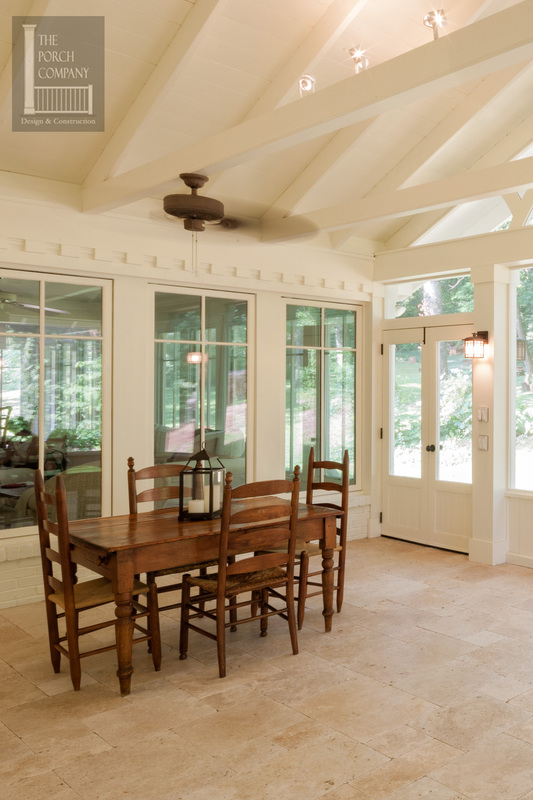 Water will blow through the screens and all screened porch floors must accommodate for draining. 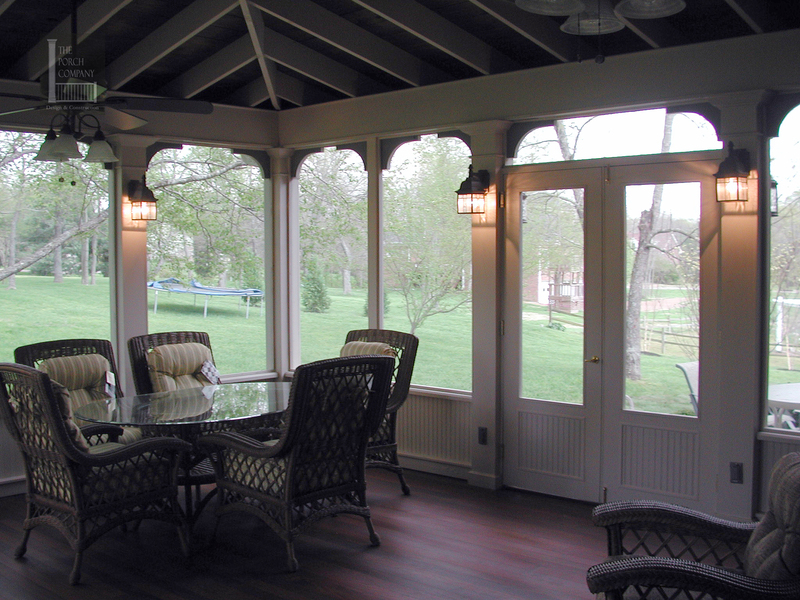 Each are our porch floors are gently sloped and also provide drainage for water. Below is a mortared down brick floor with a concrete slab underneath. You can see the mortar joints between the bricks which are set in a basket weave pattern. Below is another mortar set paver floor. There are so many different patterns that can be used when setting pavers. This one is in the running bond pattern. The floor you see below is simply a concrete floor. 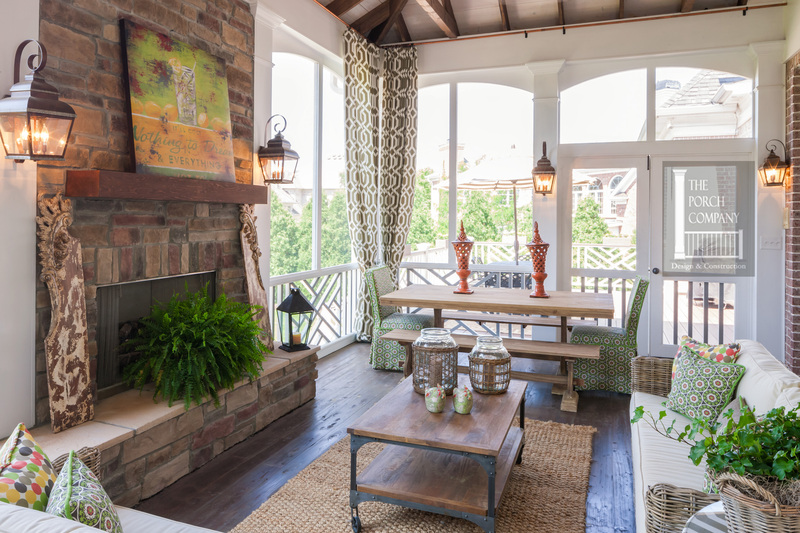 If you are building your screened porch on top of a concrete pad, you can use the concrete as your flooring and cover it with a nice rug. The floor below uses concrete pavers. You’ll notice there are no mortar joints. 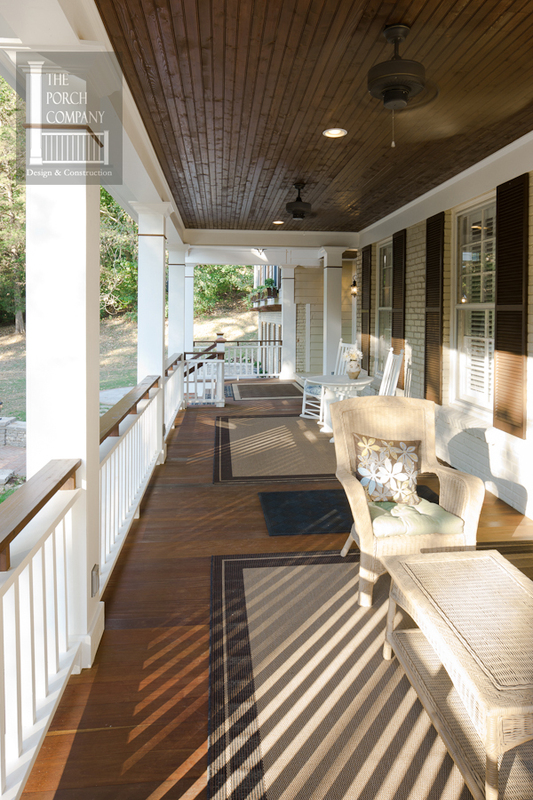 The next 3 pictures are pictures of cypress porch floors. 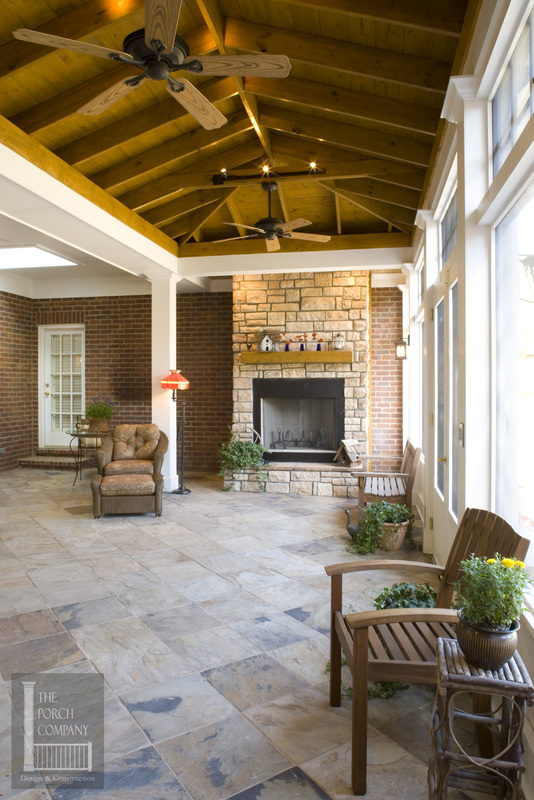 Cypress is an excellent floor to use to get a beautiful floor at a more economical price than masonry. 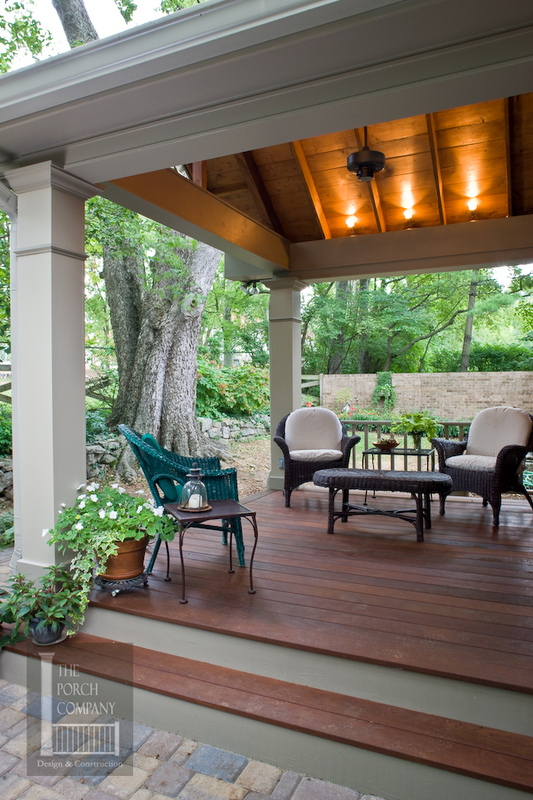 The porch floor below uses pressure-treated decking. 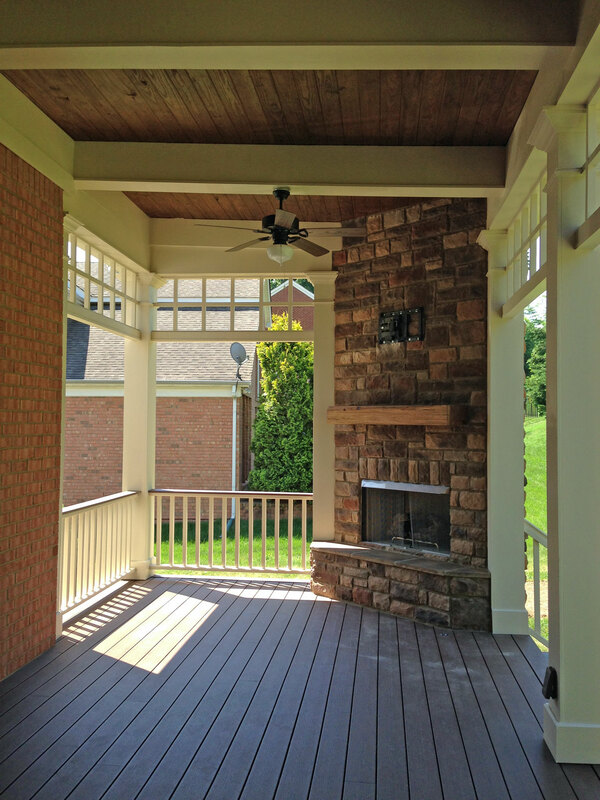 A lot of people may think that pressure-treated wood is more suitable for an outdoor deck. However, it can be a great choice for an indoor porch. Once you put it underneath the roof of a porch, it stays nice and fresh if you’re OK with gaps between boards. The gaps between the boards could allow bugs to crawl up. We put screen between decking and the floor joist to keep bugs from crawling up between the boards. The floor below is made of slate tile. 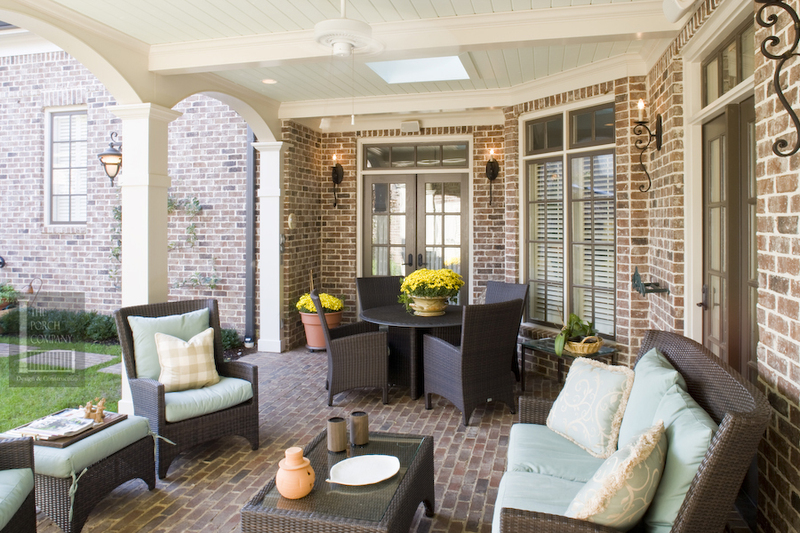 The best place to use tile is on concrete slab since tile needs a really rigid foundation. The floor below is a stained concrete floor with scored lines. The border is in a darker color. This is a very pretty old world looking floor. 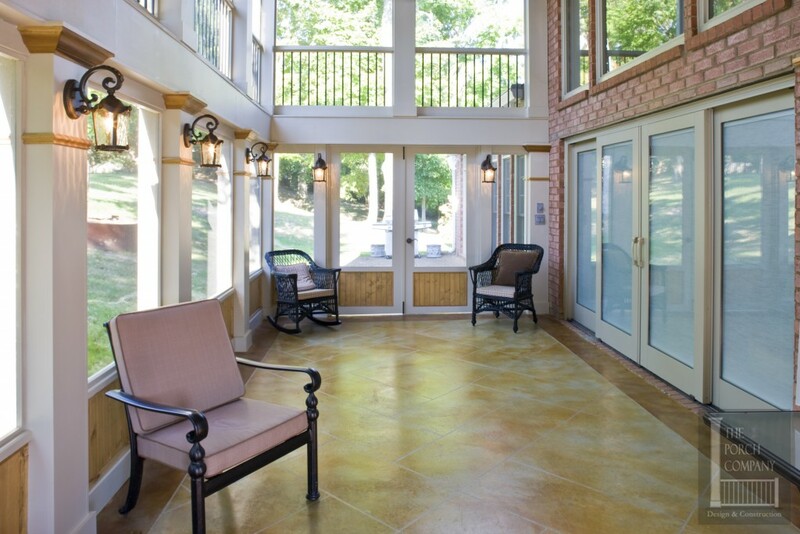 Concrete stain is great choice to dress up existing concrete floor. The floor below is a travertine paver sand set floor. 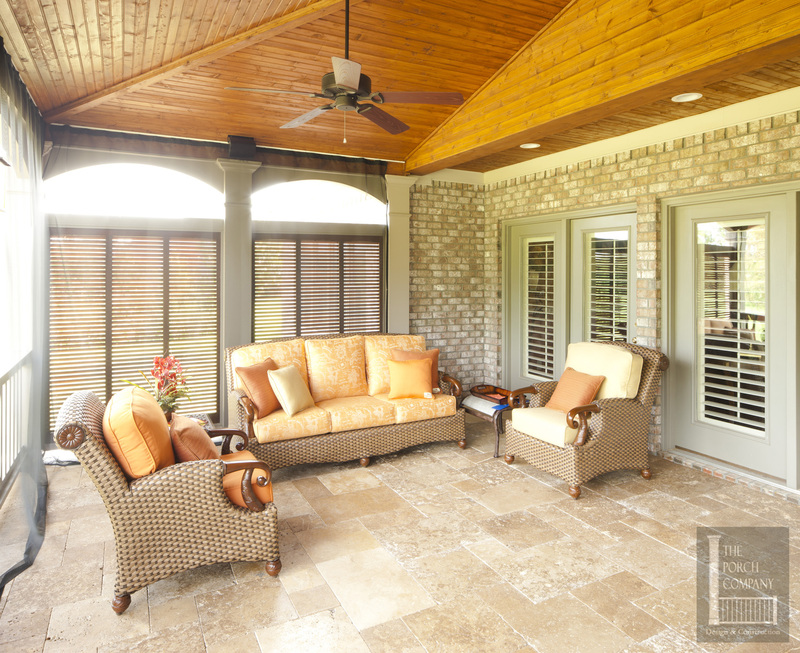 Travertine is a real stone and makes a beautiful porch floor. Half of this floor had existing concrete patio. In order to enlarge the floor, we built up the adjoining area and covered both the new area and the concrete with sand. This allowed us to traverse a seam without any problem. Below you’ll see another example of a travertine floor. The porch floor below is made of Ipe tongue and groove. Ipe (pronounced ee-pay) is a dark beautiful brown hard wood. A well-maintained Ipe floor will last 50 years outside and even longer inside. 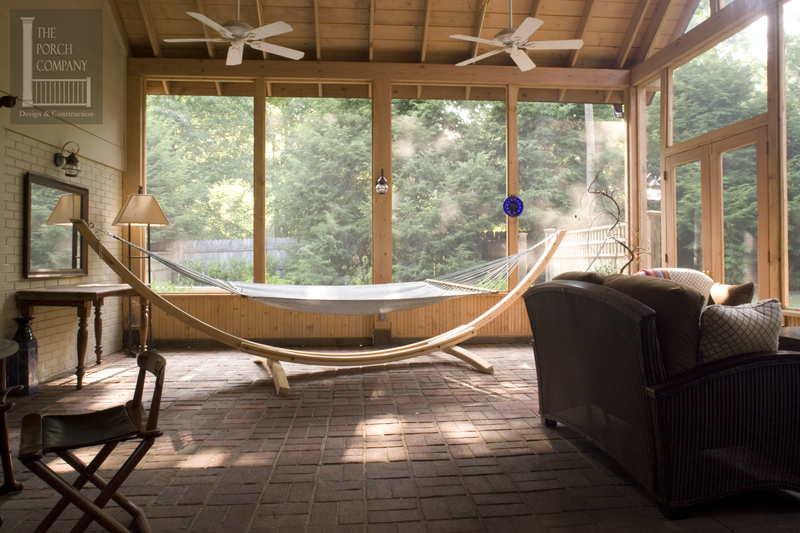 The open porch floor below uses Ipe decking as well. You can see the beautiful dark wood color and also the natural color variation between the boards which is part of the appeal of this Brazilian hardwood. Now it’s time to talk a little bit about composite decking. More and more these days we want the look of wood without the maintenance. 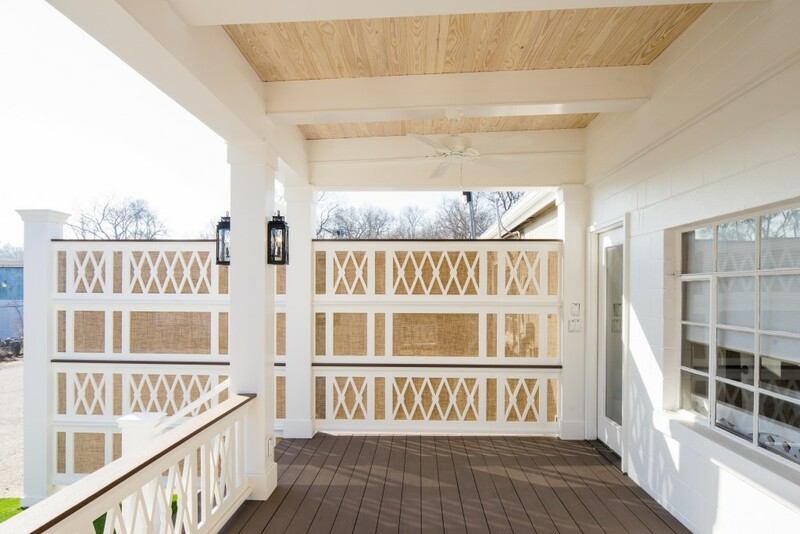 Composite decking has come a long way, and most companies use what is called capstock. The options are mainly either capstock composite or capstock PVC. All this really means is that the core of the materials are different, but the outer coating is made from PVC, which has proven to be the least problematic of all the materials. The capstock composite is typically a little less expensive. The downside to this is that if you have exposed edges of the boards (on stairs for example), you will notice this variation in the core and outer layer of the material. TREX: Has both, but mainly capstock composite. 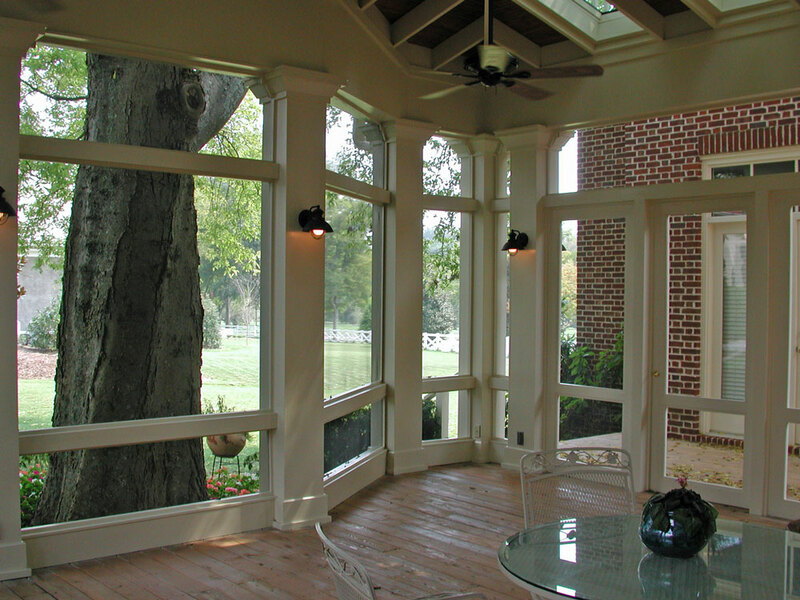 If you’re considering adding a porch to your Nashville area home, give us a call for a free consultation at 615-662-2886. We look forward to your call.